Still, you may also imagine that I’d be com­peting with web designers from every “Newport” in the world for that phrase, many of whom know a bit about SEO, too. Again, you’d be right. It doesn’t take much to fall from that front page. The upheaval of rebuilding my site from scratch (as I did recently) could do it — and it did. SEO Reports To The Rescue! Thank­fully, I had expected this. After all, I do provide a wide range of SEO ser­vices. So, I applied all the fixes sug­gested by my favourite SEO tool on my new website as soon as it went live. Soon, my homepage was as com­pet­itive as ever, so I figured it wouldn’t be long before it recovered its pre­vious pos­ition. Of course, nothing is ever quite that easy — and this is where the handy reminders of key SEO lessons began. Cer­tainly, mine hadn’t. Yours may be less active online than web designers tend to be, but you still have to keep com­peting. Oth­erwise you fall behind, and then you’ll have to work even harder to catch up. Soon, my site’s search pos­i­tioning sta­bilised a little lower than it was before. 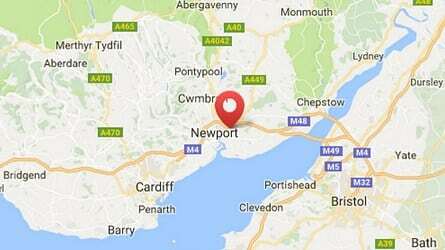 Most notably, the homepage was about halfway down on Google’s second page for “web design Newport”. Clearly, I needed to do some­thing more. Turning back to my SEO reports then, I examined them even more closely than before. Pretty soon, I noticed a detail that looked okay at first, but could have been better. Right now, my homepage starts with some large text that says, “The sky is not a limit”. It’s big, and it’s a heading, so I had told the code to treat it as one. Here’s the thing, though — headings are important SEO details, and that one didn’t contain any keywords. It was diluting the other headings, which did. You see, part of that boost is probably just because Google noticed an update to the page. Web users want up-to-date content, not yesterday’s news, so that’s what Google and other search engines try to provide. That’s one of the reasons why having a blog on your website can be so powerful. Fre­quent updates make it clear to vis­itors and search engines that you’re act­ively working on your site — and by implic­ation, your business. Oth­erwise, you might know that you’re still trading, but if you haven’t updated your website for a year, how could your site vis­itors tell? I hope that illus­trates the importance of SEO details, and how useful decent SEO reports and an on-site blog can be. If you’d like more inform­ation on how I could help you, please check out my SEO ser­vices and SEO FAQs pages.